Second times the charm? That appears to be the mantra for Redbox. Two years after it officially declared Redbox Instant dead, the DVD rental business is getting back into the streaming service arena by testing a previously rumored new version of the product. The company recently began testing the revamped streaming service, dubbed Redox Digital, with a select group of current users, Variety reports. In preparing for the new streaming service tests, Redbox published an iPad app and updated its terms of service on its website with a section dedicated to the streaming service. 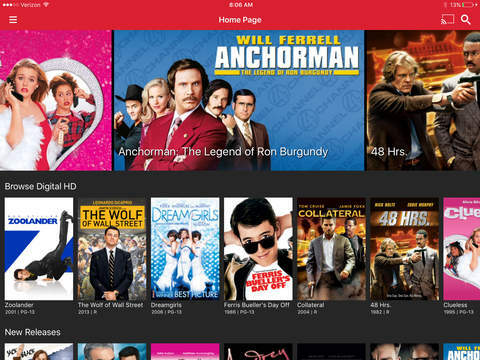 The app download page describes Redbox Digital as a place where users can “rent or own the newest movies to watch at home or on the go.” For now, a pricing structure for the service has not been revealed. 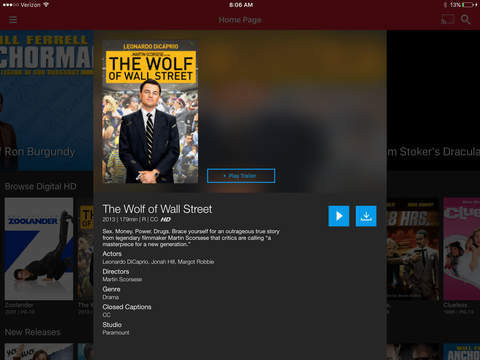 While non-test members can not download the Redbox Digital app, screenshots on the app page show a browsing feature for digital titles and the ability to download them to the device. Variety notes that the teaser also contains a “Cast” button, suggesting that the service will likely be compatible with Google’s Chromecast streaming adapter and other Cast-compatible devices. Variety first reported in March that Redbox was likely working on a new streaming device. That means, unlike the late Redbox Instant service, Digital would be a competitor for services like iTunes, Vudu, or Google Play, rather than Netflix, which Variety previously suggested could make the service succeed where it’s predecessor failed.